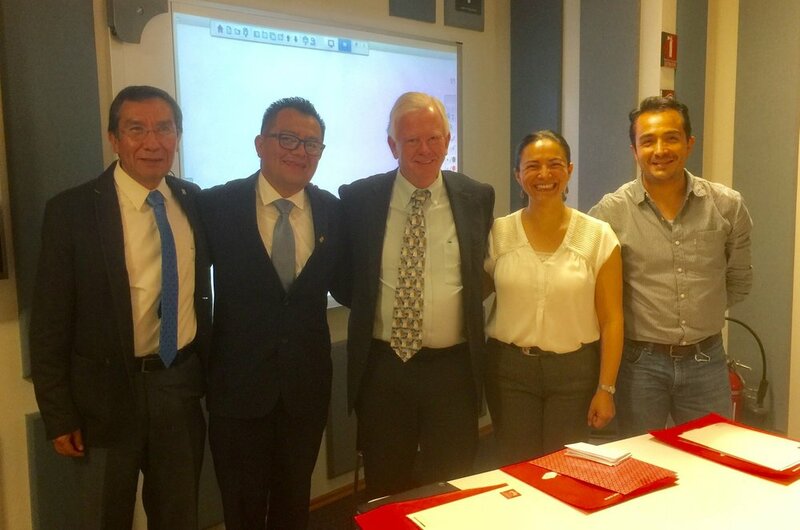 Dispatch 170: Saybrook U's Dr. Moss at Ibero-American University — Nathan Long, Ed.D. On March 8, I spent the day at Ibero-American University, a large private University which is piloting a new applied psychophysiology curriculum for undergraduates, masters students, and doctoral students. My host was Jose Esael Pineda Sanchez. I was able to teach a roughly three hour workshop class on Psychophysiological Perspectives on Health. In the evening, I was able to participate in another panel discussion of my book with Fred Shaffer, now available in Spanish, Fundamentos del Biofeedback de Variabilidad del Ritmo Cardio. The participants provided excellent discussion, and I gave a lecture on the objectives of the book.